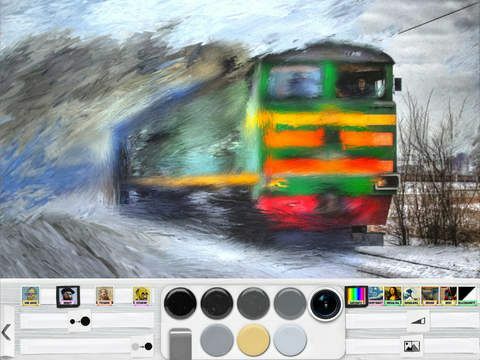 Psykopaint is as close to working on a real painting as you'll get on your iPad. There are some incredibly clever examples of people painting masterpieces using their iPad, but a new 3-D painting app called Psykopaint is promising to provide the most authentic painting experience yet. Psykopaint gives you an astonishing variety of materials and options to work with: ranging from different textures and opacities of paint types, to a selection of papers and canvases, each with their own absorption rates, textures, and amount of grain. You can paint freestyle, or choose to work within an accepted artistic style like Impressionism and Impasto — courtesy of custom brushes that imitate the brushstrokes of artists like Monet, Van Gogh, and Gauguin. In short, it’s the closest thing you’ll get to feeling like a real artist. 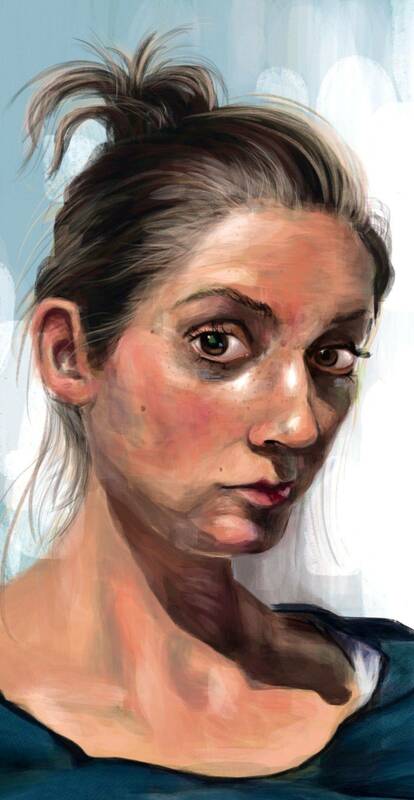 Roz Hall is a UK-based artist who employs his iPad as a canvas to create some stunning portraits. 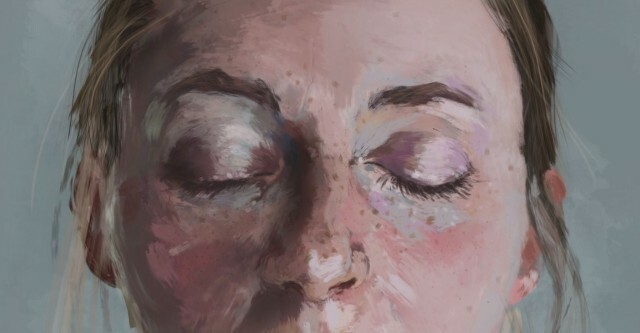 Hall wasn’t always a painter with pixels: he studied Fine Art at the Winchester School of art and is currently at work on a Master’s of Fine Art at the University of Chichester. He’s worked as a filmmaker and in video production, but his main love since 2010 has been painting, at first on the iPhone, and now on the iPad. 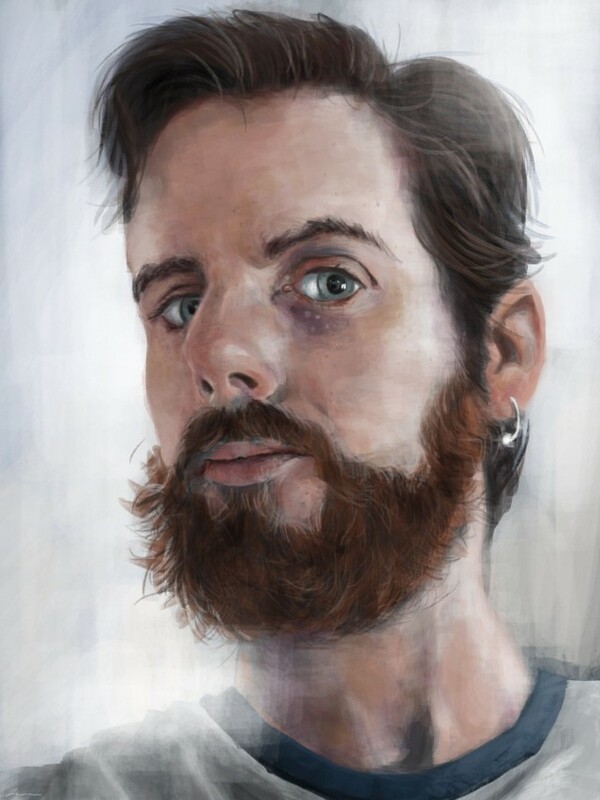 This father, student and self-described beard enthusiast told Cult of Mac about his artwork, the perks of tablet painting and why naked Apple devices are best. Cult of Mac: What apps do you use, and why? Any apps you started using but don’t anymore? What’s the evolution of your process? Roz Hall: My two favorite apps are Procreate and Inkpad, and I use them both for two very different things. Procreate is great for recreating that paint or ink feel as it has some wonderful brushes, which are completely customizable if you wish. Inkpad is a vector app, like a stripped down version of Illustrator, but very intuitive to use and awesome if you want to print off something really large! I used to use Sketchbook Pro as it’s a very advanced app and lovely to use, but I feel like the brushes are a little small and I like to start out with a large brush to block in shapes. I prefer to stick to a single brush type for each painting and just adjust the size and opacity, this probably comes from my background as a traditional artist. CoM: What device do you use? Why? Any covers, cases, or peripherals you prefer? RH: I started painting on my iPhone 3G but upgraded to the iPad and am now on the 3rd Generation iPad. The screen size is perfect, small enough to paint with on the train without drawing too much attention, and large enough to not feel restricted. I mainly just use my finger but have used a few different styluses. My current favourite is the Sensu Brush, which has a small rubber tip on one side and an actual brush on the other. I was genuinely surprised at how natural that would feel, as I’d thought it sounded like a gimmick. I have played with a couple that offer pressure sensitivity but couldn’t get on with them, although the new JOT Touch looks promising. I like to have my Apple gear fairly naked as it feels criminal to cover them up, so I just have my iPad in its Smart Cover. CoM: How do you sell you art work? 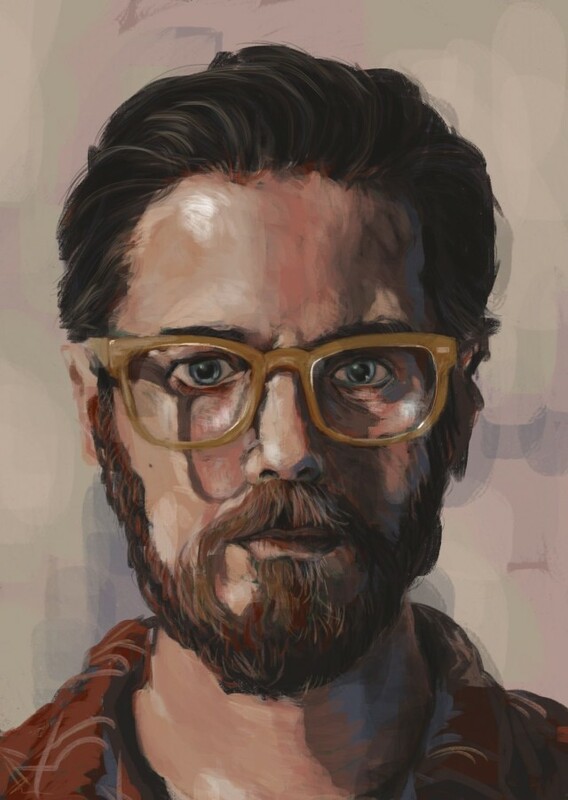 What are the unique challenges of creating commercially viable artwork on a digital device? The unique rewards? RH: I have sold a few postcards on Zazzle and have painted a couple of commissions, but apart from that I don’t see it as a hugely commercial venture. I won’t be quitting my day job quite yet. Companies have send hardware to me to use and blog about, including tablets, which is a huge perk. I was recently flown to New York to attend the launch of the Microsoft Surface 2 and to demonstrate to the press. So if you’re reading this, Apple, I’m available! The art community is getting less suspicious of digital art with artists such as Tracey Emin and David Hockney producing work on the iPad, which is making it easier to get work into serious galleries. CoM: How do you exhibit your work? RH: I am fortunate enough to have had work exhibited across the globe but the format changes depending on the gallery requirements. Some like to have your work printed and framed traditionally, where as others like to project or display using LCD screens. The Saatchi Gallery in London exhibited some of my portraits on a large LCD screen but had it in landscape mode, which didn’t look good at all. I have just started to get pieces printed onto perspex glass, it looks gorgeous as the colors are really strong and the glossy look mimics that of the iPad screen. CoM: What kind of community to you belong to or facilitate for digital artists? Is there an “I make art on an iPad” group you hang out with? RH: When I started out painting on the iPhone, I got myself a Flickr account and posted them up there. The reaction was incredible and immediate! That’s what I love about creating work digitally. I have oil paintings which have been seen by maybe five or six people and now just sit in my attic, but when I paint on the iPad, I post up to Flickr and can get 500-600 views in a day. Flickr has a strong community of mobile digital artists, who mainly share their work in groups dedicated to different hardware and apps. 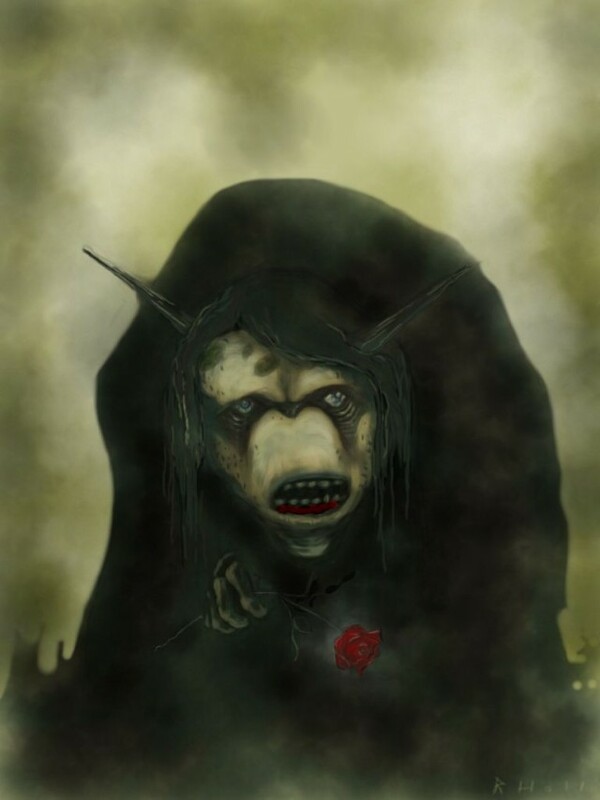 Good ones to check out are iAMDA (The International Association of Mobile Digital Artists), iPad Creative, iPad Art and Fingerpainted. Facebook has iPad Artists and iPad painters Groups, which are great places to share tips and comment on each others work. CoM: Any advice for artists looking to work on the iPad or other devices? Would you recommend it to new artists? You can check out more of Roz’s work at his website. It won’t let your kid paint with light in the traditional, photographic sense — using a light source to burn magical images into a photograph. Instead, Griffin’s new Crayola Light Marker turns an iPad into a canvas that’s transformed with light — a form of light painting, and just as magical. 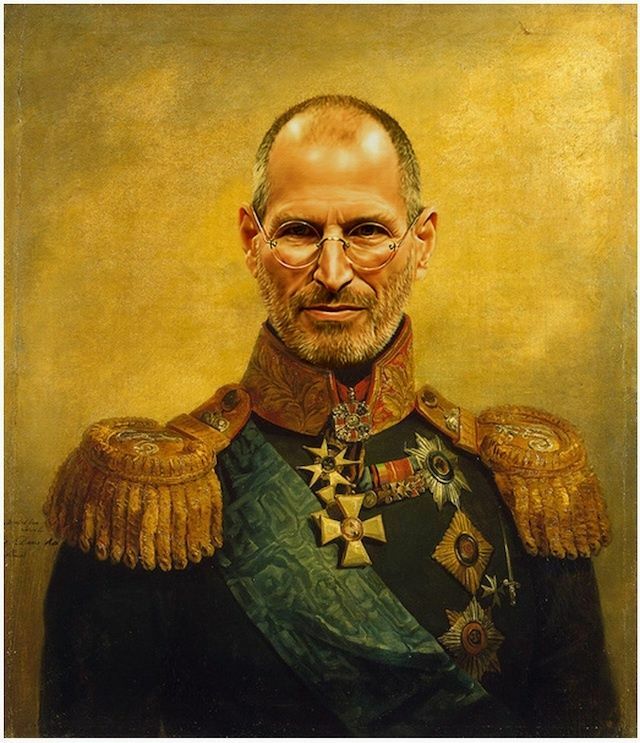 What’s a better way to strike fear and admiration into your house guests than a portait of Steve Jobs dressed as a Russian Army General? Nothing, that’s what. Except maybe a flamethrower, or pet crocodile. But you don’t have either of those do you? 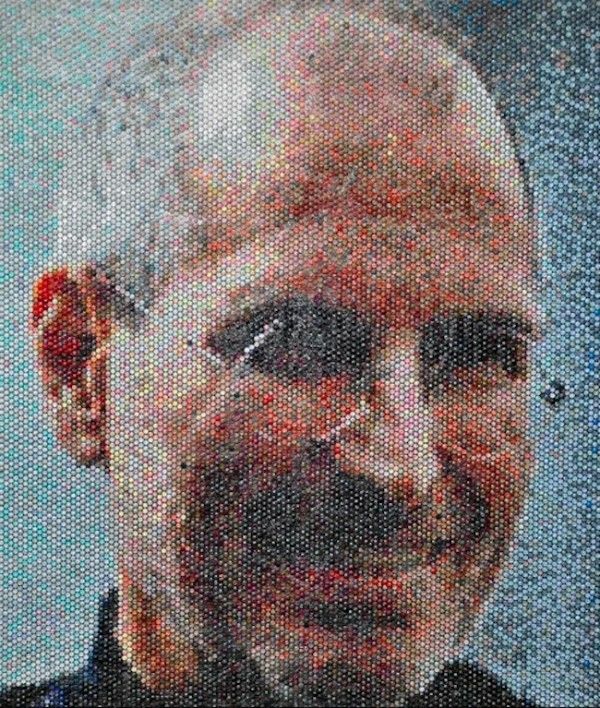 Replaceface is now selling prints, canvases, cards, cases, skins and even pillows of the portrait of Steve Jobs as a Russian Army General, so you can carry General Steve with you everywhere. If you thought that all apps that turn photos into “paintings” and “drawings” were total gimmicky junk, you’d be dead right. Applying a “find edges” filter and desaturating the result into grayscale doesn’t make a picture look like you drew it. It looks like you’re a dummy for even using it. 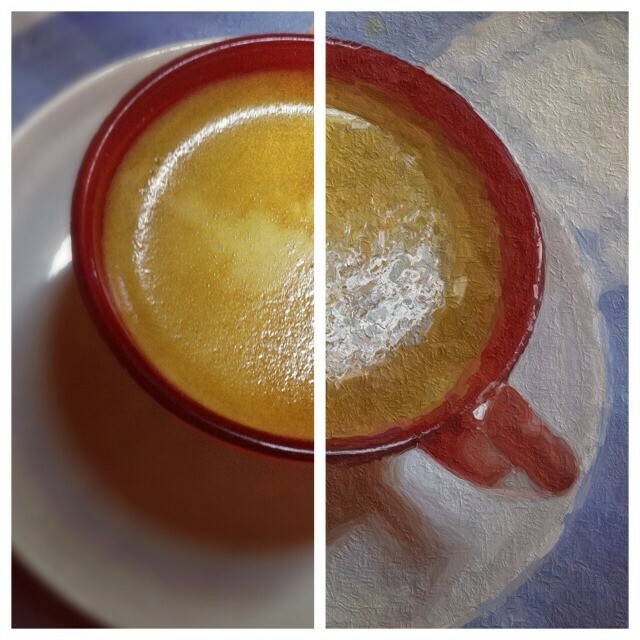 But things have changed: Glaze is an iPad app which actually makes faux paintings that look good. Anyone taken a look at the price of a professional photo editing software package, lately? Yeah, we dare you. 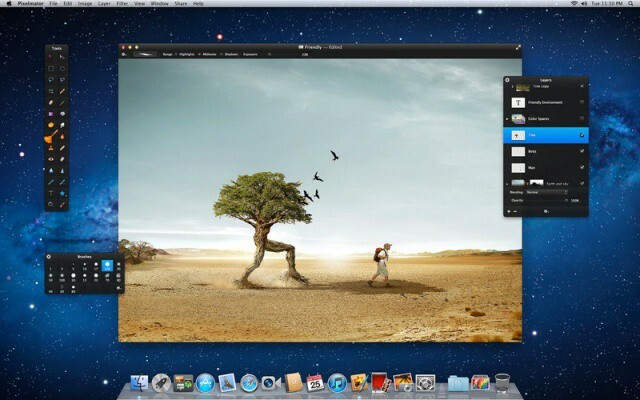 Redditor jayfehr noticed that Apple design award winner Pixelmator is currently on the Mac App Store for a quarter of it’s regular ($60) price, coming in at a nice $14.99 for this fairly beautiful looking Mac OS X image editing and paint program. Procreate, the already excellent iPad drawing app, has been updated to play nice with the iPad 3’s Retina Display. But to dwell on that would be to ignore the massive changes that have gone into this version. Make no mistake: This might be labelled v1.6, but it is much more like a v2.0.